Try as he might, actor Sebastian Stan can’t shake the paps when he’s going incognito – no surprise when his disguise looks this good. All-black outfits, with their unique ability to erase shadow, are eternally flattering, and an overcoat and boots only serve to polish the look. John Legend almost always hits the spot – this time, using that very thing. A microdot print adds depth to what would otherwise be a forgettable look, using one key detail to pivot from bog-standard off-duty clobber. Factor in the tasteful wrist flash, and Legend lives up to the name once again. Louis Tomlinson is just one smashed chair away from pure, unadulterated football hooliganism – and we mean that in a good way. The former Directioner tapped terrace style in a tasteful way, melding an on-trend fleece jacket with nineties-appropriate jeans and kicks below. Maybe leave the German bombers chant in Euro 2000, though. Thomas Brodie-Sangster – better known as the British actor who hasn’t aged a day since Love Actually – still cuts a mature figure in this Saint Laurent getup. A perfect fit and dark colour palette gives the 27-year-old free license to lose the tie, while contrast lapels and high-shine shoes are details that’ll never grow old. 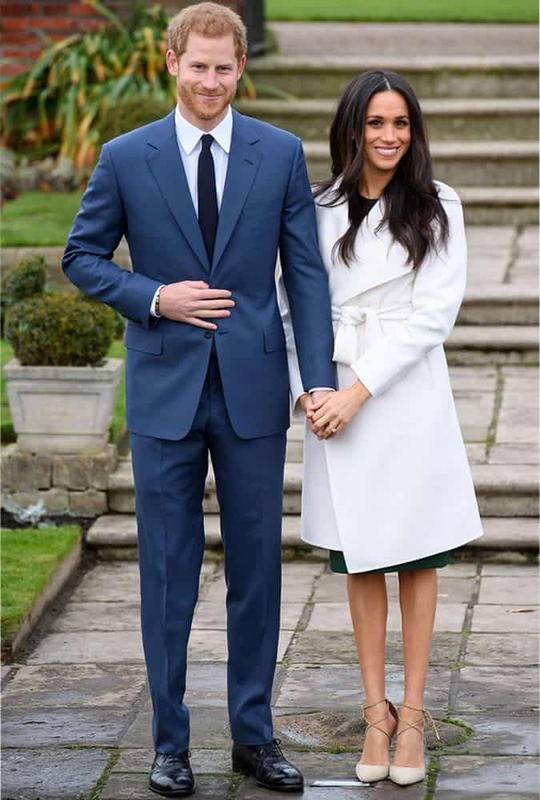 Yes, the noise of upcoming Windsor matrimonials can be deafening (Royal wedding! Tradition! Pensioners in plastic Union Jack bowler hats! ), but Prince Harry’s engagement suit cut through. Blue is one of the most wearable shades in the book, and this lighter-than-navy tone struck the right note for a celebration. When poured into a shell as well-fitting as our Henry’s, it’s a menswear no brainer. Meghan, you lucky girl. Jamie Bell breaks rules on all fronts. Not only is he proof that some child stars retain their success and a sense of style in adulthood (Macaulay Culkin, take note), he also showed that brown and black can work together. The trick to nailing this well-criticised combo is to keep every item as simple as possible, a subtle mash-up of materials being all you need to tie a look together. He may have lost Bella and Selena, but at least The Weekend is keeping one romance alive: the oversized trend. Proportion is the Starboy’s statement here, and regular denim staples keep the look grounded. An affair to remember. Ice skating: a pastime so fraught with misadventure, most men risk a broken hip for that elusive couples’ cliche Instashot. Not so for Oliver Cheshire. The model, swanlike on the rink, is as effortlessness as his look, pairing a wide-collar shearling jacket with equally rugged workwear separates. Now go home and stop making us all look bad.